Home » Anne Curtis , comedy , Luis Manzano , romance , Who's That Girl? » Who's That Girl? “Who’s That Girl?” is one of a kind romantic drama comedy of Viva Vilms starring Anne Curtis, Luis Manzano, Eugene Domingo, John Lapus, Candy Pangilinan, and Ms. Dina Bonnevie, and under direction of Derek Wenn Deramas which was showed last February 2011.
man of her dreams. Not knowing who’s wake it is, Elizabeth made a scene in the funeral and was instantly mistaken to be “the other woman” of the departed business tycoon, father to Johnny Eduque. Without her knowledge, the departed was the senior Johnny Eduque. Seeing her mother’s misery, John vowed to take revenge. But more conflicts arise when he falls in love with her. Real life bestriends’ Luis Manzano and Anne Curtis’ versatility to act made the romantic movie Who’s that girl? 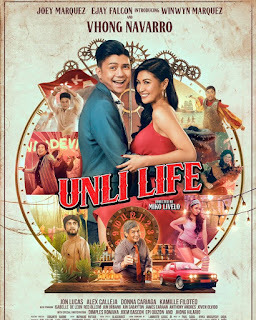 hit the silver screen and the movie goers not just laugh out loud but fall in love with the same time.. Not to mention that Viva Films make it their goal to bring a variety of originally conceptualized Filipino films in 2011 starting with this one. Who’s That Girl? Is the first movie offering of Viva Films this year. This is also the first movie production of SMDC (SM Development Corporation), a well- known construction company on the Philippines which is fully-owned by SM Malls and Holdings.